The Humbert & Poyet agency, based in Monaco, has been voted among the top 100 architects in the world by design magazine AD. Emil Humbert and Christophe Poyet share a passion for creating spaces that reflect their affinity for contemporary surfaces using the noblest and most exclusive materials. Their interiors are a representation of a balance between tradition and modernity, quality and seduction, hot and cold. Mixture of raw materials & Industrial aesthetics. 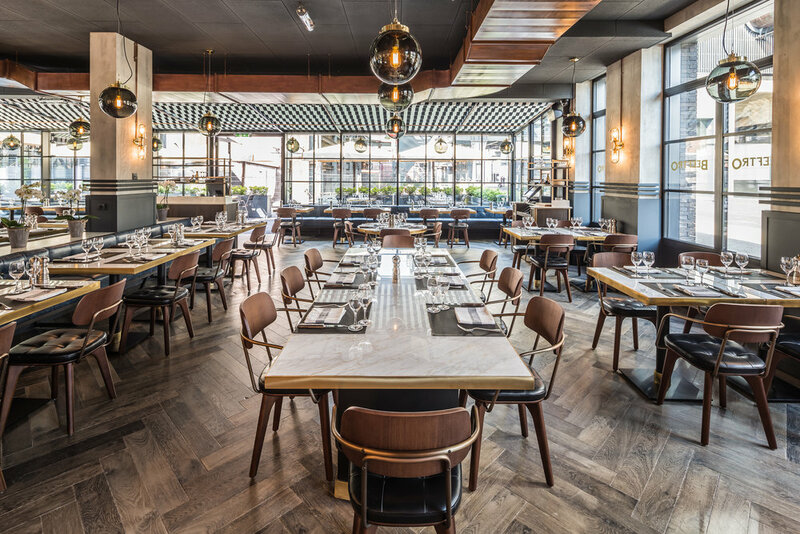 The balance between the marble tables, leather, mosaic flooring, concrete, exposed piping & the earthenware crockery has been chosen to portray a luxury experience in a chic & casual atmosphere. With its soft lighting & contrasts of shades, Beeftro remains timeless. The birth of Beeftro is the result of a deep desire to break with the “corporate” steakhouses invading the catering market. Offer a new way of enjoying meat in a space reflecting the concept of modern luxury: contemporary, cool, unpretentious, with high quality products. The tableware made of wood, slate and porcelain, matched to each dish to offer the height of luxury whilst remaining authentic & simple. The birth of Beeftro is the result of a deep desire to break with the “corporate” steakhouses invading the catering market. 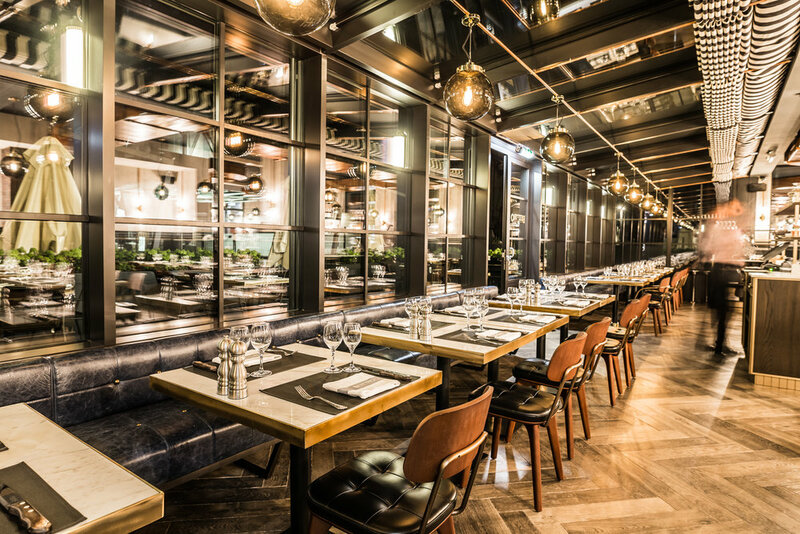 Offer a new way of enjoying meat in a space reflecting the concept of modern luxury: contemporary, cool, unpretentious, with high quality products. The menu offers a variation of Black Angus beef cuts in from the United States, burgers, a multitude of starters & a Kobe bar presented as small portions “to share”. The aim of Beeftro is to educate the consumer by showing that it is not only well known steak cuts that are the best. Beeftros aim is to create something different, to bring a new interpretation of meat & street food.